Correction: An earlier version of this story incorrectly characterized CCC’s recall notification system. CCC has offered repairers and insurers the ability to receive National Highway Transportation Safety Administration recall data for a specific VIN for more than a decade. The article has since been corrected to reflect this. Hot on the heels of a similar CCC-FCA announcement last week, Mitchell on Monday said users would be notified whenever a Mazda in their shop has an outstanding recall. Mitchell Estimating/UltraMate will produce the alerts, updated in real-time with the latest OEM information, whenever a VIN of a recalled but not yet repaired Mazda is decoded. Mitchell said Mazda was its first OEM recall partner. CCC on Thursday had announced it would flag any FCA vehicle with unaddressed Takata airbag inflator recalls; it also has been flagging recalls from Honda and one other undisclosed OEM. The Mitchell rival said its shop-facing alerts have prompted customers to get their recalled components fixed at a rate “an order of magnitude” better than when customers are notified of recalls by mail or social media. It’s too early to tell if Mitchell will experience a similar success rate; Mitchell repair sales and service Vice President Jack Rozint said the company hadn’t conducted any pilot studies and was in the process of the Mazda launch. “We’ll have it up shortly,” Rozint said. “As our vehicles age, many owners turn to independent repair and body shop facilities to have service work performed,” Mazda North America Takata Action Team Director Rob Milne said in a statement. 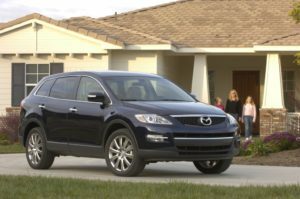 “Our partnership with Mitchell enables us to increase the opportunity to inform Mazda owners that their vehicle is affected by an open safety recall. Mitchell wrote in a news release it was “in discussions with other OEMs” on similar partnerships. However, the absence of a formal deal with an automaker doesn’t preclude that OEM’s customers and repairers from being informed. Unlike CCC, Mitchell will still run VINs through the National Highway Traffic Safety Administration’s recall database. “That’s our fallback,” Rozint said. 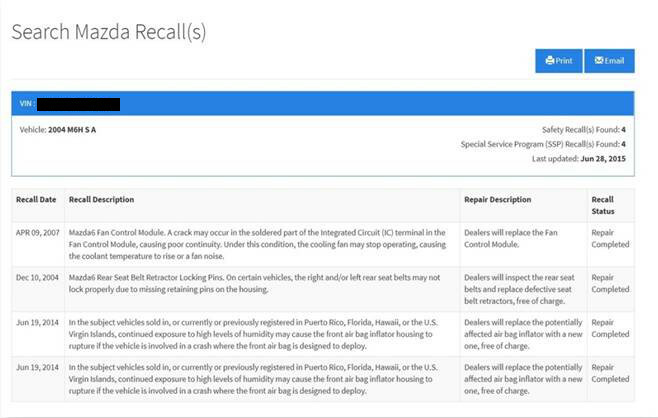 This feature will return every recall ever issued for the specific vehicle, even those which the consumer already had addressed at a dealership. Partnering with an OEM like Mazda allows Mitchell to eliminate those false positives and flag only outstanding recalls. These can further be tailored by the OEM; for example, a company might only want to stress safety-related recalls and decline to flag a mere inconvenience. “It’s what they want to return,” Rozint said. Mitchell wouldn’t demand exclusivity in exchange for helping the OEMs reach more customers about safety recalls, Rozint said. “We would never even think about doing anything like that,” he said. CCC launched its OEM-specific recall notices for collision repairer users of CCC ONE but anticipates expanding them to insurers in the future; however, both insurers and repairers have been able to use CCC’s NHTSA VIN lookup for years. However, Rozint said “any estimating system user” will receive the Mitchell recall alerts, and insurers will be able to use the feature immediately. Asked if the assistance Mitchell would be providing OEMs on recall campaigns provided any traction on obtaining factory VIN build data, Rozint said the latter — the “Holy Grail” — remained elusive, but “we’re working very hard with the OEs.” He predicted that sometime next year, Mitchell would have “significantly more” build data capabilities. Repairers using other estimating services can still get in the recall notification game for their customers. 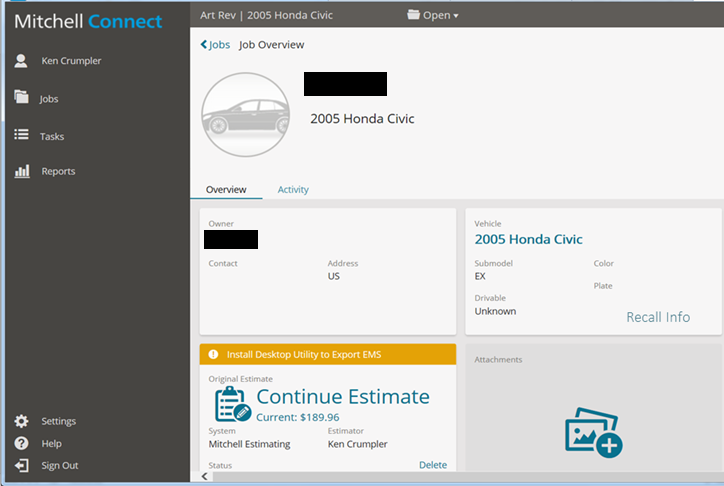 Most, if not all, OEMs have their own recall website allowing users to input VINs. (Google it.) Or use the NHTSA VIN recall lookup referenced above.